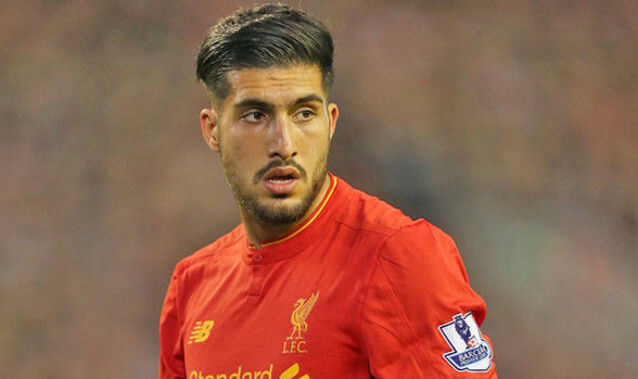 Liverpool’s 23-year-old German midfielder Emre Can scored our winner yesterday, backing up a good performance versus Arsenal with another decent one at home to Burnley. It was needed, as Can was abysmal during January and arguably the worst of Liverpool’s regular starters. He’s blamed his poor form on a calf injury though, promising that he’s now capable of putting in consistently strong outings. He told Liverpoolfc.com: “I know I had a very tough period, I had not too much confidence in the last few weeks and it was not my best performance. “But I had the feeling I would come back, I had the feeling that I was getting strong again, and I know what I am able to do when I am fit, when I’m pain-free. “Today it was a step forward and I have to keep it up. I had problems with my calf and I didn’t want to [have] a break and the manager didn’t want it, I wanted to help my team. “Maybe it didn’t help the team too much and myself as well but I’m very happy today, it was good, I felt good again, and that’s the most important [thing]. “If I feel good, if I feel strong, then I know what I’m able to do. “It was a really big three points because in the past we lost that kind of match and today we won the match,” he added. “We know it was not our best game but at this stage it’s very important to get the three points and we got it. We’re very happy. “It’s very important to get the three points and sometimes to get them dirty, like today. Jordan Henderson’s injury is not getting better especially quickly, and he’s not going to be fit for our crunch trip to the Etihad next weekend. This means Can will keep his space at the base of midfield and will need to put in a colossal performance if we’re to down our top four rivals who are perhaps the form team in the country right now. We’ve won our past four league games against City on the spin though, and another will give our chances of Champions League qualification a world of good.